Pune, 15 October 2018: As a part of its endeavour to promote Kabaddi at grass root levels, Puneri Paltan, one of the top performing teams of Vivo Pro Kabaddi League organised ‘Bol Kabaddi Interschool Tournament’ at Phoenix Market City Mall, Viman Nagar, Pune. The tournament received an overwhelming response, with over 200 students from in Pune participated in the tournament. The winner of the tournament was V.S. Satav High School for the boys’ and girls’ category. The best raider awards were given to Shivani Hingne (Dr. D.Y. Patil School, Pimpri) in the girls’ category and Harshal (V.S. Satav High School) in the boys’ category. The best defender awards were given to Divya Chaudhari (V.S. Satav High School) and Virendra Pratap Singh (Pune Police Public School) from the boys and girls category respectively. 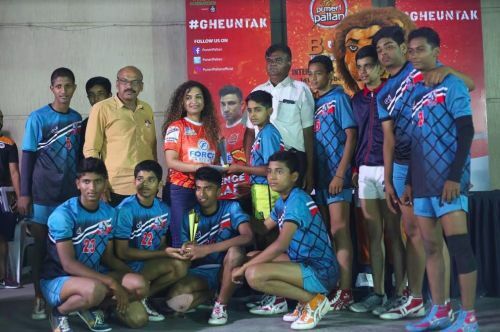 The winners of Puneri Paltan Bol Kabaddi Inter-school Tournament were felicitated by Ms. Shraddha Nathani, Head of Marketing, Puneri Paltan. 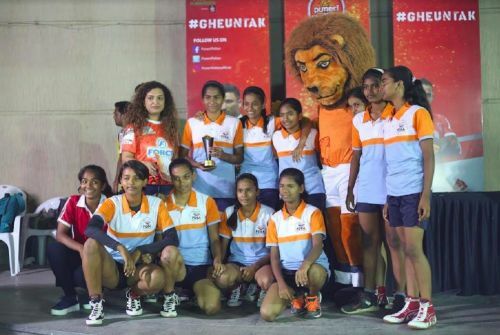 Ms. Nathani interacted with the kids to know more about their experience of the tournament and encouraged them to think about taking up the sport professionally. The children were highly inspired and vowed to play Kabaddi more often. This initiative was much appreciated by the participating teams and their coaches. Many students expressed their desire to be part of more such tournaments. The venue was filled with onlookers who were energetically cheering for their favourite teams. It was a fun-filled atmosphere and many people took selfies with Paltan’s own mascot- Sheru, who was present at the venue. Puneri Paltan play its matches at Shree Shiv Chhatrapati Sports Complex, Mahalunge - Balewadi from 18 October – 24 October 2018. The tickets for Puneri Paltan matches in Pune can be obtained from Book My Show.